Enigmatic Sydney-based Romeo Love Deluxe returns with an exploratory new single titled ‘Dance Of The Lizard People’ - out now via Soothsayer. ‘DOTLP’ evolved from the purchase of a Nord synthesizer - an instrument which accounts for over six different sounds within the track. Just when it looked like 2018 couldn’t get any bigger for Willaris. K, the 24 year old Melbourne-via-NSW-Northern-Coast producer drops a two-track single to flip this year on its head. One of Australia’s breakthrough acts of 2018, Willaris. K returns with a fan-favourite from his ‘Alchemy’ EP titled ‘Perpetual Love’ which follows on from singles, ‘Risen’ and ‘Dour Nights’. A clear standout in his live show, the track blends the darkness and euphoric spaces that Willaris. K is becoming infamous for. His music combines ambience and melody with heaving, nocturnal beats. It’s dark and cathartic in equal measure. ALTA are Melbourne's finest purveyors of emotive club anthems. ALTA circle back with another poignant, beautiful and candid jam in 'Figured Out' Fragile vocals play front and centre as the band twist and pull at the heart strings with the thunderous backdrop of a skewed house instrumental. ‘Atmosphere’ sees Dro switch gears from the warm dance pop of the previous record to revisit a far grimier mood. Paging a searing trio of rap talents from Australia, the US and the UK, Dro is joined by rising hip-hop star Kwame, London MC Renz (of Mob Set), and Boston via Sydney’s Raj Mahal. Enigmatic Sydney producer Dro Carey has delivered a captivating new jewel in the form of ‘Glow Now’, the first single to be released since his acclaimed Dark Zoo EP (2016). ‘Glow Now’ sees Dro Carey further expand his stylistic wings, pulling delicate pop aspects onto a musical bed that is a perfect concoction of gleaming sparkle and grit. Traversing new sonic territories, ‘Glow Now’ is an upbeat yet reflective track with heavy UK Garage-influences. Soothsayer and CC:DISCO! present First Light: Volume 1. The latest offering from the compilation is Love Deluxe’s cosmic exploration ‘Ivan’s Hymn’. Sitting on the track a little while longer than not long at all, Sydney musician Love Deluxe jumped at the opportunity to put the kooky outing to wax, and has brought forth a heady 4x4 ditty which drowns the senses in his signature aesthetic - Sun, sweat, steam and spritz. The groundswell for Willaris. K is evolving. Don’t miss out on the promising artist’s dynamic live performance. Mysterious, hypnotic rhythms frame ‘Risen’, tantalising the listener to be patient - this is only the beginning. Lavish synths are met with irrefutable rhythms, awakening a longing for a night to never end. The two-piece, producer Julius Dowson and vocalist Hannah Lesser, are impossible to pigeonhole, saturating their consciousness with every genre, before shutting everything else out to dive into their own writing. The track features direct yet emotional dance floor moments in the key of love, a 4/4 infusion of the duo’s signature take-it-or-leave-it attitude and driving house rhythms. Hannah Lesser’s rapid fire lyricism and silky vocal takes intertwine with glossy synths and punchy percussion, lending to their slick but carefree sound. Soothsayer are beyond thrilled to share Jace XL's sweet and salty track 'Really Want That', the first taste of a partnership between CC:DISCO! and the Melbourne-based label. Remembering the first time she heard Jace XL, CC:DISCO! explains: "He blew me away! Jace's voice is amazing and to me, a huge part of what’s going on in Australian music, so it's with open arms we welcome him to First light." Australian duo ALTA are known for being unpredictable in genre, living at the intersection of dance, experimental and pop genres. Sentiment is an intricate dance track, gentle yet unapologetic. ALTA are a staple of the underground Melbourne music scene. Love Deluxe is a feeling. It's a beautiful sunset. It's more than climate change, it is its own climate. Sun, sweat, stream and spritz. ‘Spice of Life’ is a tricky little fay, leading the listener through a smoky door into a space filled with the type of timeless sound that is created by musicians sashaying through a live disco jam. ALTA create music that lives at the intersection of dance, experimental and pop; creating tracks that are exciting, unpredictable and engaging. Fix It begins with commanding bass, building to Lesser’s sensually sweet vocal slotting into the heaving drum beats, before quickly taking their place at the forefront of the musical bed. Melbourne two-piece, made up of producer Julius Dowson and vocalist Hannah Lesser. ‘Mess’ is a track about making bad decisions and owning them. It’s about slipping into the pull of something that’s toxic, knowing it’s not good for you, and having the strength to get yourself out. Dro Carey is Sydney-based producer and DJ Eugene Ward. An unexpected but highly welcome offering, ‘Elevate’ speeds by awfully quickly, begging for an immediate reload. The track cements Dro's status as a restless and fascinating producer whose next move - as always - remains impossible to pigeonhole. 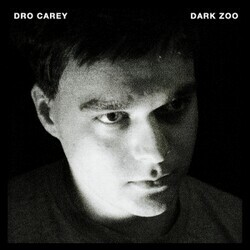 Dro Carey is the primary musical project and production alias of Sydney DJ and composer Eugene Ward. ‘Signal Mash’ brings a fresh brightness to a dynamic, sinister, restrained EP. ‘Signal Mash’ is a binder of sorts, bridging the sonic space between the darkness within ‘Grow Lithe’ and ‘Hidden Halls’ and the sparkling pop moments of ‘Queensberry Rules’. Melbourne electronic pioneer Roland Tings continues to solidify himself alongside a tight community of innovative Australian producers enjoying global recognition. Roland Tings returns with an eight-minute dancefloor bomb, the blissful yet rugged ‘Hedonist’. The song was inspired by a hallucinatory experience Roland had after running out of water on a hot summer bushwalk in Alpine Victoria while collecting natural sounds for recording.